Equine causes have made the top ten achievement list of 2016 of the Humane Society of the United States, which also includes welfare improvements for cats and dogs, and disaster rescue. Among the achievements highlighted by HSUS CEO Wayne Pacelle was the work of the HSUS in keeping horse slaughter plants shuttered on US soil, with Appropriations committees in the US House and Senate adopting amendments to prevent the slaughter of horses for human consumption. Staff from the HSUS were among several advocacy groups that worked to shut down the last three slaughter plants in the United States in 2007, and since then has worked with resolve to ensure that no new plants start up. “Still though, despite enormous support in Congress and from the general public for our position, opponents in the agriculture industry have managed to block passage of federal legislation to ban the shipment of live horses to Canada and Mexico for slaughter for human consumption,” Pacelle said. Another two big achievements were with wild horses. The HSUS has begun a three to five-year fertility control project to stabilize and reduce the wild horse population through immunocontraception in Vieques, Puerto Rico. The island’s population is estimated to be nearly 2000 horses. 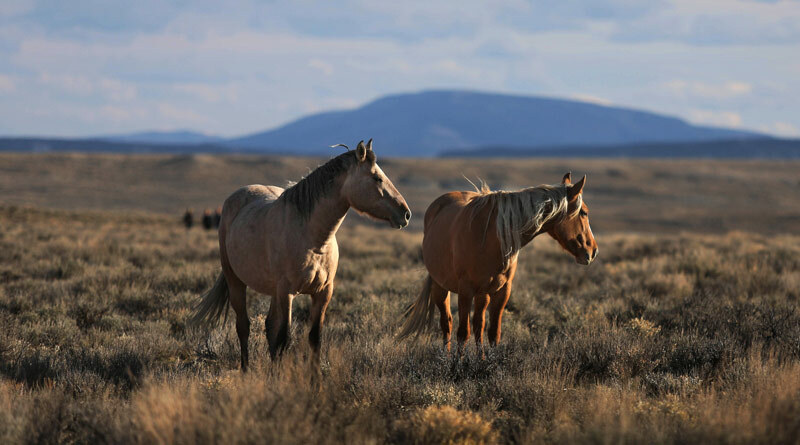 And the HSUS was also successful in fighting back the Wild Horse and Burro Advisory Board’s recommendation to euthanize 45,000 horses in holding facilities. It also helped secure assurances from the Bureau of Land Management that no healthy horses are to be euthanized. In other work, the HSUS drove local jurisdictions in several US cities to crack down on puppy mills, helped with the rescue of thousands of dogs and cats bound for slaughter for human consumption in China, closed down a large dog meat from in South Korea, amd helped achieve a temporary ban on dog culling and animal fighting in Bangladesh. The HSUS also helped spay or neuter about 52,000 animals in Asia, and about 225,000 dogs were vaccinated in Asia as part of HSI’s street dog program. It spayed or neutered an additional 15,000 dogs and cats in Latin American countries, and India’s Supreme Court banned vigilante groups from the indiscriminate culling of street dogs in the state of Kerala. The group helped pass legislation to prohibit gas chambers for euthanasia in California and South Carolina, and we won regulations prohibiting the use of carbon monoxide for euthanasia in Kansas. It facilitated voluntary closures of the last known chambers in Michigan, Nevada, and Oklahoma. The organisation’s Animal Rescue Team was also on the ground in areas ravaged by Hurricane Matthew, including South Carolina and Haiti, and also assisted animals in Costa Rica affected by Hurricane Otto. In June, the team assisted federal law enforcement agents in rescuing 66 dogs from a suspected dogfighting ring, confined at properties in five states. The society’s Pets for Life program also provided direct care to more than 13,000 pets living in underserved areas in Atlanta, Chicago, Los Angeles, and Philadelphia. Its veterinary program, Rural Area Veterinary Services, provided veterinary care to 8000 animals who were in desperate need of care in 2016, mainly on Indian reservations but also in other rural parts of the country. RAVS staff spent more than 150 days in the field and trained over 300 veterinary professionals, amplifying the value of this program in creating the next generation of humane-minded vets.